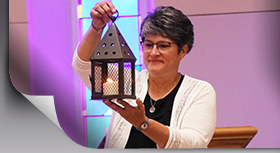 The Sisters of the Presentation invite women to a week-long service and discernment experience in New Orleans, LA. Each day will include morning prayer as a community, service at a ministry site, time for personal reflection, shared meals, and evening reflection on the day. Great conversation and lots of laughs are sure to be had along the way. This is an opportunity to pray, serve, and live in community with Catholic sisters. It’s a chance to take time out of your regular schedule to listen for God’s invitation for you at this time. Join other women who are also searching and seeking to find the next step on the journey. Whether you are curious about religious life, discerning life’s next step, or simply looking for an opportunity to pray and serve with other women, this trip could be for you. Email Sister Jessi Beck for details or additional information. and meeting other needs at each organization. *Details about housing and travel are in the works. Don’t worry you’ll have a roof over your head and a way to get to New Orleans together!